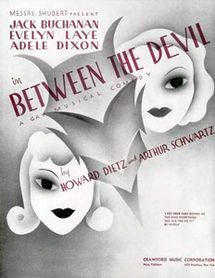 This song was written for the 1937 Broadway musical Between The Devil, where it was introduced by Adele Dixon. Both Guy Lombardo and Glen Gray recorded the song in that time period. Later recordings include those by Frank Sinatra and Johnny Hartman. The Johnny Hardman version, recorded in 1955, was used in the soundtrack for the 1995 movie The Bridges of Madison County. “I See Your Face Before Me” was recorded in June 1992 and was released that year on Perfectly Frank. It was arranged by Ralph Sharon.